Security along the U.S.-Mexico border could become a $1 billion expense to the state, according to a total budget request from the Department of Public Safety. Security along the U.S.-Mexico border could become a $1 billion expense to the state, following a total budget request from the Department of Public Safety for an additional $320 million — on top of a base budget of $750 million — in the new two-year budget. In February 2014, Gov. Greg Abbott proposed a $345 million plan to hire 500 additional border troopers. At the time, his goal was to halt drug cartels and increase security. Abbott has not commented on DPS’ request. 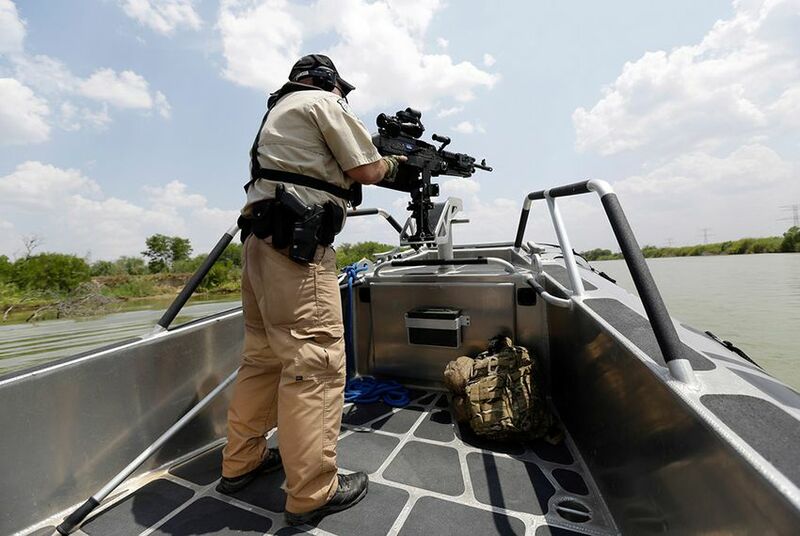 As the Tribune’s Jay Root reports, border security has remained a top issue in Texas. On Thursday, the brother of a U.S. Border Patrol agent who has been charged with capital murder in a reported Mexican cartel drug hit struck a plea deal. The defendant, Fernando Luna, pleaded guilty to drug possession and the murder of a Honduran immigrant. Analysis: Texas Politics Ain’t Fun and Games, But This Year is One of a Kind, by Ross Ramsey — Nastiness and politics go together like expensive coffee and free wifi. Presidential races often prompt urges for civility. Even so, the forces of decency, propriety and good taste kinda have a point this year. A Decline in Texas Power Looms in Washington, by Abby Livingston — Lone Star clout and the benefits it generates back home look to be on the decline in the coming years. Texas Tech's New President Wants University to be Elite, by Matthew Watkins — In an interview, Texas Tech University's new president describes his vision for the school, his love for Lubbock and the future of the Big 12. After Supreme Court Setback, Texas Ultimately Wins Fair Housing Lawsuit, by Neena Satija — A year after the U.S. Supreme Court allowed a lawsuit against Texas over segregated housing to go forward, a federal district judge has dismissed it. Auto Title Companies Sue Texas DMV Over New Fee Limit, by Nicole Cobler — Eight title service companies filed a lawsuit against the Texas Department of Motor Vehicles, saying the department’s service fee limits could put them out of the business. Controversial GOP Chairman's Tenure Ends in Travis County, by Patrick Svitek — The brief, zany tenure of Travis County GOP Chairman Robert Morrow came to an end Friday, as party officials made clear the conspiracy theorist abandoned his post by running for president and he accepted their conclusion without question. The House County Affairs Committee travels to San Antonio for an interim hearing addressing the progress of a federal waiver program that seeks to transform the way health care is delivered to low-income patients. Also on tap for the 12:30 p.m. hearing on the campus of Texas A&M-San Antonio: the state's child protective services agency and criminal justice programs in Bexar County. “Texans might have to wander for 40 years in the wilderness before we have substantive leadership in Washington again." Texas' resources should go to schools, students most in need, by state Sen. José Rodríguez, D-El Paso — With the 2017 session fast approaching, it's time to tackle school finance issues head on and do something about high-stakes testing. On Tuesday, The Texas Tribune will launch "Unholstered," a seven-part, data-driven investigation into police shootings in Texas. For the project, we collected and analyzed data from the state’s 36 largest cities on every incident in which police officers pulled the trigger between 2010 and 2015.